2. 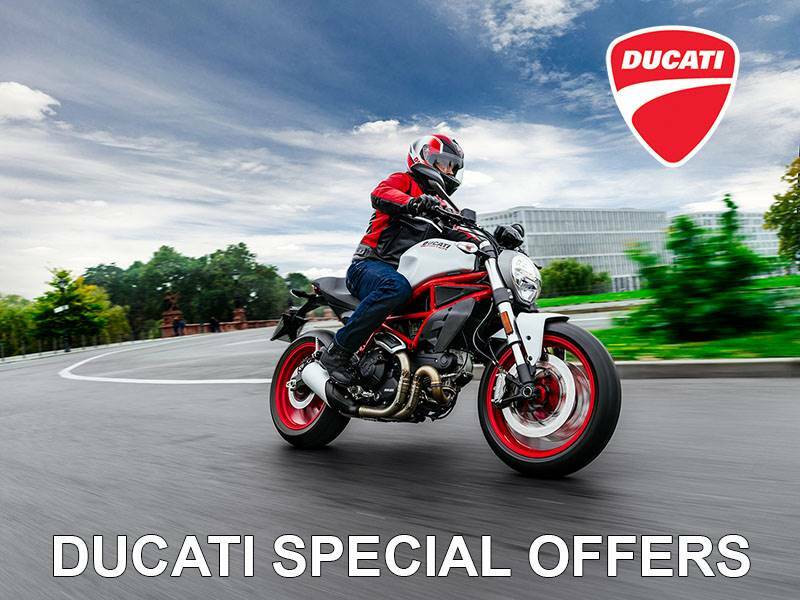 APR offers valid on select 2018 Ducati’s. Offers available to highly qualified tier 1 customers on approved credit by Ducati Financial Services through participating dealers. Not all customers will qualify for advertised rates. 3. Financing approvals and rate commitments are good for 30 days from approval date. 4. 0% – 25% down payment requirement based on credit tier and credit worthiness. 5. The minimum amount financed is $5,000. 6. Eligible purchases must be made, contracted and warranty registered between 4/1/2019 to 6/31/2019. 7. Motorcycles must be sold new untitled and not previously warranty activated (demonstrators are eligible). Motorcycle must be sold and reported during the program period. 8. Monthly payments will vary depending on down payment and approved credit tier. 9. Program details are subject to change at any time. 2. Offer applies only to new, not previously warranty activated models; demonstrator models invoiced without additional incentive are eligible. 3. Offer applies only to select 2018. All offers are subject to change at any time. Model exclusions may apply. See your local participating Ducati dealer for complete details.